Polls, focus groups and fundraising tallies have their place — but if you really want to take the electorate’s pulse, go souvenir shopping. Money talks, and as the economy limps, our leaders snipe, and the rough beast of our divided government slouches toward next year’s presidential election, the political memorabilia tills have a tale to tell: For the president, it’s a scary one. Downtown shopkeepers and cart vendors near the Mall said last week that Obama-related sales had significantly slowed — in part because of a traditional August tourism lull, in part due to the president’s sagging approval ratings. 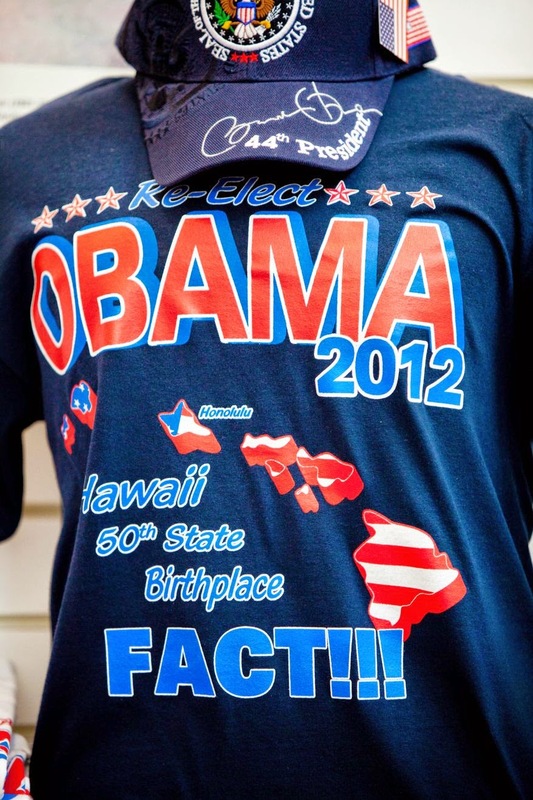 Freddie Vinoya, a manager at Honest Abe’s Souvenirs at 1000 F Street NW, said that customers used to purchase more than three dozen Obama “Hope” T-shirts a week. As political barometers, souvenir sales are hardly scientific — yet there are those who insist they are uncannily predictive. Before Mr. Obama’s inauguration, his Gallup poll approval ratings hovered between 60 and 70 percent. The corresponding souvenir market was white-hot — so much so that Jim Warlick, a memorabilia retailer who got his start hawking Ronald Reagan inaugural buttons in 1980, opened a store downtown devoted solely to the incoming president. Now, that market is as sluggish as the nation’s economy. Among souvenir peddlers, Mr. Morse’s observations are hardly unique. According to a spokesperson for online retailer CafePress, pre-election sales volume for Bush-themed merchandise in both 2000 and 2004 was “overwhelming,” while Obama outsold McCain by more than 30 percent in the weeks before the 2008 election. Employees at online retailer Zazzle saw a predictive pro-Obama surge throughout the 2008 campaign. Recent polls find that Congress and GOP legislators in particular are even more unpopular than the president. And souvenirs - like polls - can be equivocal. Consider the evidence from P&D Souvenirs, located on 10th Street NW across from Ford’s Theater and two doors down from — yes, really — “Lincoln’s Waffle Shop.” Tacked to a display wall amid Elmo products, tea party-themed bumper stickers and postcards starring the First Dog were two T-shirts. An employee was asked which shirt sells more. A vote, Mr. Neuman explained, is anonymous. But buying a political T-shirt can be as conspicuous — and implicitly confrontational - as wearing a Dallas Cowboys jersey to FedEx Field. John McNulty, a political science professor at Binghamton University, cautioned against using souvenirs as a proxy for public opinion. But vendors maintain that sales sometimes can provide unique insight. Online retailers CafePress and Zazzle both manufacture T-shirts, bumper stickers, coffee mugs and other products designed by at-home users. The result is a crowd-sourced read on prevailing sentiment, updated in almost real time, covering everything from the debt ceiling debate to the London riots. Before and after the 2008 election, Zazzle saw an increase in TARP and bailout-related merchandise, followed by a spike in anti-Obama products. Meanwhile, employees noticed that presidential candidate Ron Paul — far from a major national vote-getter — was inspiring strong sales, a robust website community and almost as many submitted designs as Obama. When Mr. Obama last month admonished lawmakers to “eat our peas” and negotiate a debt deal, CafePress users created mocking trucker hats, messenger bags and — gulp — thongs within hours. Indeed, the speed and ease of online creation has facilitated the proliferation of negative political souvenirs. As of last week, about 42 percent of CafePress‘ 1.9 million Obama T-shirts were negative, while 29 percent of the site’s 407,000 Sarah Palin shirts were negative. Now that the presidential campaign pre-season has officially commenced with the Iowa straw poll, perhaps it’s time to sift the early souvenir returns for clues to the 2012 election. Here’s what we know: CafePress users want an Obama-Palin matchup, never mind that the former Alaska governor has yet to enter the race. Local cart vendors are lukewarm on the current president — but for now, they’re not even stocking Republican primary contenders. Back at the Washington Welcome Center, Mr. Morse made a cryptic prediction.